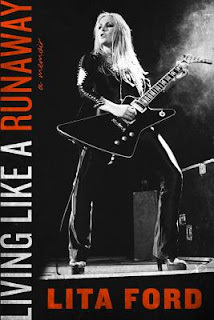 Time to rock with the mother of all metal, Lita Ford, who has penned her memoir, Living Like a Runaway. 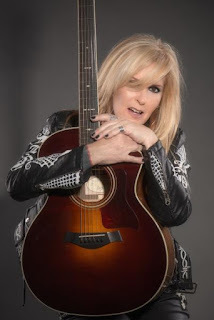 In this long-awaited, emotionally powerful memoir, Lita Ford, "heavy metal's leading female rocker" (Rolling Stone), opens up about the '70s and '80s music scene and her trailblazing life as the lead guitarist of the pioneering band the Runaways and her platinum-selling, Grammy-nominated solo career. Lita will be in conversation with Scott Itter, music journalist, columnist at Positively Naperville, and founder of the Dr. Music website (DrMusic.org). She will share some of her stories and take a few questions from the audience, then sign books. Please purchase your tickets through the Brown Paper Tickets link above and bring your printed ticket to the event. You will receive your book when you arrive at the event. They will NOT be available for pick up before that time. Books purchased at other vendors are not permitted in the signing line.